MJR! John Bull 3N10 Archives - MJR! 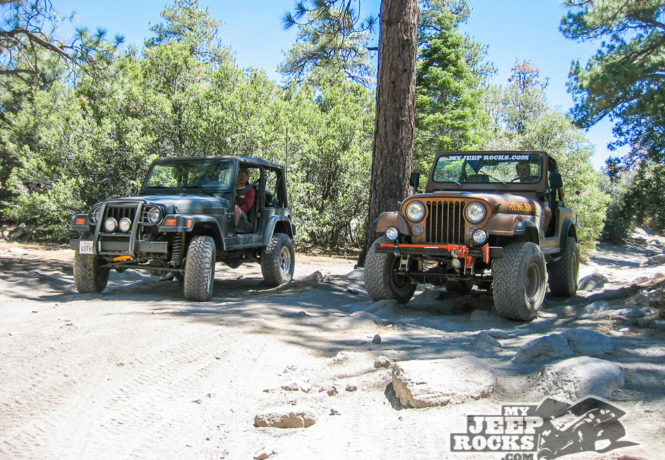 One of the most famous in the Big Bear trail system, John Bull Trail offers an excellent mix of rocks, trees and scenery. The John Bull Trail can be found in the San Bernardino National Forest near Big Bear Lake. It is one of the toughest and most popular trails in the SBNF. On a busy summer weekend there can be 200 or more vehicles make the 5-and-a-half mile run. The favored direction of travel is from East to West starting on 3N02 near Burnt Flats. The trail is available to street legal vehicles and green sticker vehicles, however all green sticker vehicles must be trailered to the trailhead and John Bull is the only trail available to green sticker vehicles in the general vicinity. 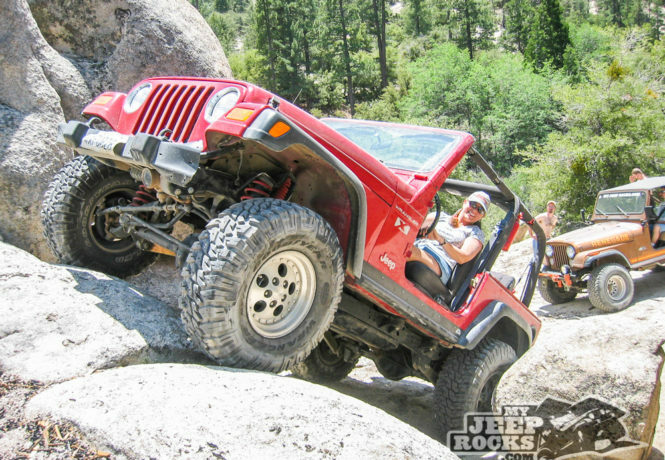 You can expect to encounter large boulders and steep climbs. The US Forest Service rates this trail a black diamond most difficult trail and it is not recommended for stock SUVs. Body damage and breakage are a possibility. Elevation ranges from 7400 feet to over 8100 feet and during the winter months snow and ice add to the difficulty of traversing the trail.